This large, heavily built lizard is black and white, as the name suggests. The pattern of color varies depending on the animal. 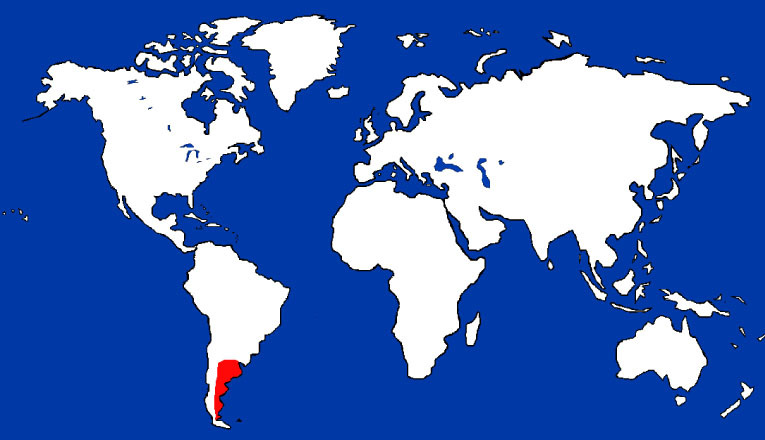 About the Animal: The black and white tegus of SOuth American are surprisingly intelligent and remarkably adaptatble for a reptile. Although they typically lives along the forested edges of the Argentianian grasslands, they can adapt to both drier and wetter environments. Although capable of swimming, they are predominantly terrestrial. They will dig or take over burrows and spend much of their time deep underground where the temperature doesn’t vary a great deal. This allows them to stay hydrated and avoid the extreme temperatures for which their native range is known. Reproduction: Breeding occurs after a cooling hibernation period. The females will build a nest and clutch 30-60 days later. Clutchs usually average around thirty eggs. The female guards the nest and will aggressively defend it against all perceived threats. The young will hatch anywhere from 120-170 days later, depending on the environmental conditions (specifically temperature). Hatchlings are around 8″ in length. 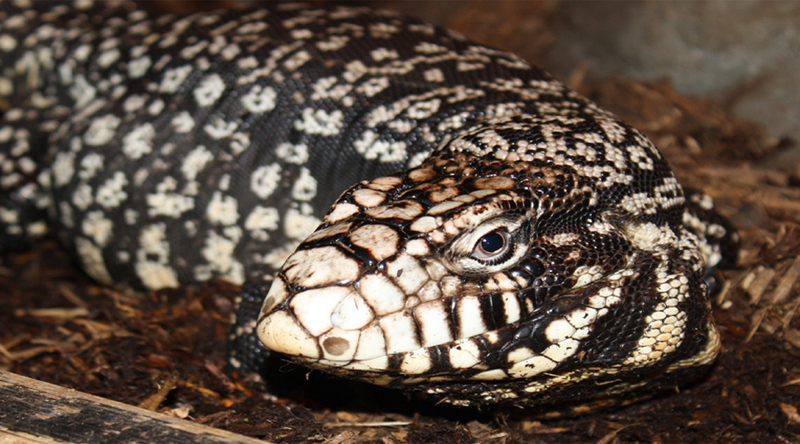 Amazing Information: Many tegu keepers have found that the intelligence of this species rivals that of a dog.